One of the challenges we hear from many companies is that they know they need a company blog to help address some of their challenges like boosting traffic or lead generation, but they are unsure about how to start or plan a blog. We also hear from companies that have a blog, that they are struggling with it and that it's not getting the results that they thought it would and they don't know why. Without a company blog you will lose out on the many benefits including opportunities for ranking, extending your reach on social media, building brand awareness, generating inbound leads and customers. 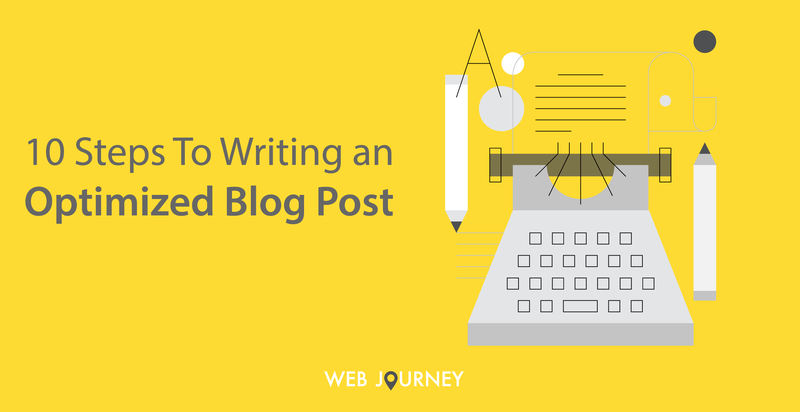 This post will provide some tips to get you thinking and will then take you through the key 10 steps to writing an optimized blog post.